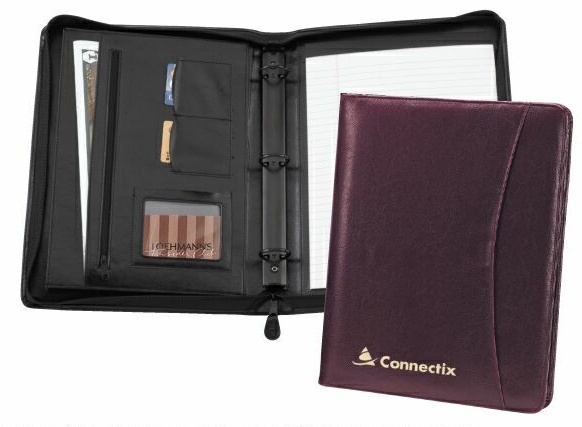 Executive Zippered Portfolio Binder Letter Size Zippered Binders  : BindersNow.com, Quick, Easy & Online! Make a great first impression. Give your materials the introduction they deserve with rich imitation leather material and zippered closure. Binder size: 10 3/4" x 13 1/2"
Black Round ring metals 1 1/4"